For more than twenty-eight years of business in Tulsa, Oklahoma, Farnsworth Quality Roofing Company is most well known for taking exceptional care of every customer. Farnsworth Quality Roofing Company, Tulsa, OK, offers FREE estimates and inspections. Contact us now to schedule an appointment. My goal is to provide exceptional service for every customer. Farnsworth Quality Roofing Company Tulsa agrees that upon completion of work and full and timely payment, Farnsworth Quality Roofing Company Tulsa will repair any leaks in our work, that are the fault of Farnsworth Quality Roofing Company Tulsa free of charge, by the contract dated, for a period of 5 Years, provided reasonable written notice has been given. This warranty shall cover only faulty workmanship and shall not extend to damage to the roofing caused by hurricane, lightning, hailstorms, extreme winds, settlement, acts of third parties, and any acts of nature or any other cause beyond Farnsworth Quality Roofing Company Tulsa’s control. This warranty shall not extend to leaks caused by faulty chimneys, gutters or carpenter work. 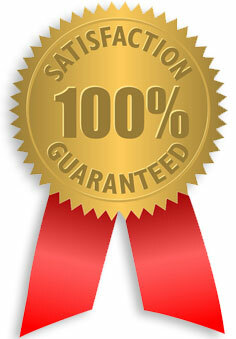 This warranty program covers workmanship done by Farnsworth Quality Roofing Company Tulsa only. Leaks, blown or dropped shingles caused by manufacture defects are covered by manufacturer's limited warranty and any complaints or claims must be directed to manufacture or distributor. If homeowner, another roofing company, or anyone other than a representative/employee of Farnsworth Quality Roofing Company Tulsa performs, alters, or attempts to repair a leak or blown shingle before Farnsworth Quality Roofing Company Tulsa is allowed to remedy the problem, then this warranty will be null and void. Farnsworth Quality Roofing Company Tulsa will not be held liable for damage to roof or property of homeowner. If any type of foundation leveling, remodeling, restructuring or tampering of any kind, etc... is done to home, roof or surroundings of home by a contractor, construction crew/lawn care crew, any company other than Farnsworth Quality Roofing Company Tulsa or homeowner, and it has adversely effected the integrity, durability, longevity, appearance, or compromised the roof in any way as installed by Farnsworth Quality Roofing Company Tulsa, then this warranty will be immediately null and void. Farnsworth Quality Roofing Company Tulsa will not be held liable for damage to roof or property of homeowner caused by contractor, construction crew, homeowner or any one that is NOT a representative/employee of Farnsworth Quality Roofing Company Tulsa. If there are any questions concerning any portion of this warranty program, feel free to contact Farnsworth Quality Roofing Company Tulsa online using the "contact us" below or directly by phone at 918-437-7663. All warranties are signed and dated by the owner of Farnsworth Quality Roofing Company Tulsa and are transferable to any new homeowner within the 5 year warranty period.